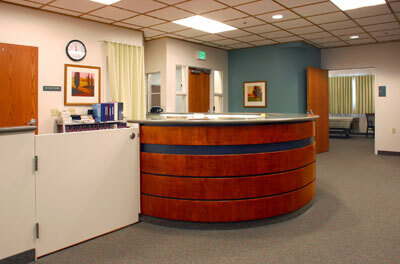 The design program was to have a comfortable and non-institutional facility for patients, visitors and employees. Four private and four semi-private rooms with individual bathrooms were placed along the North and South perimeters in order to take advantage of the natural light. 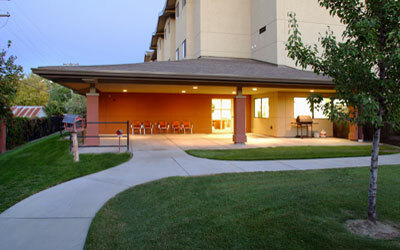 New exterior windows were put in the West end of the building, allowing natural light into a new group room which leads out onto a secured patio. 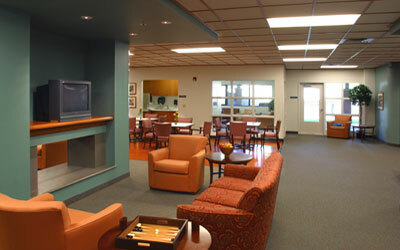 The remaining space was used for dining, living, and socialization areas. This project has been very well received by the community and currently has a patient waiting list.